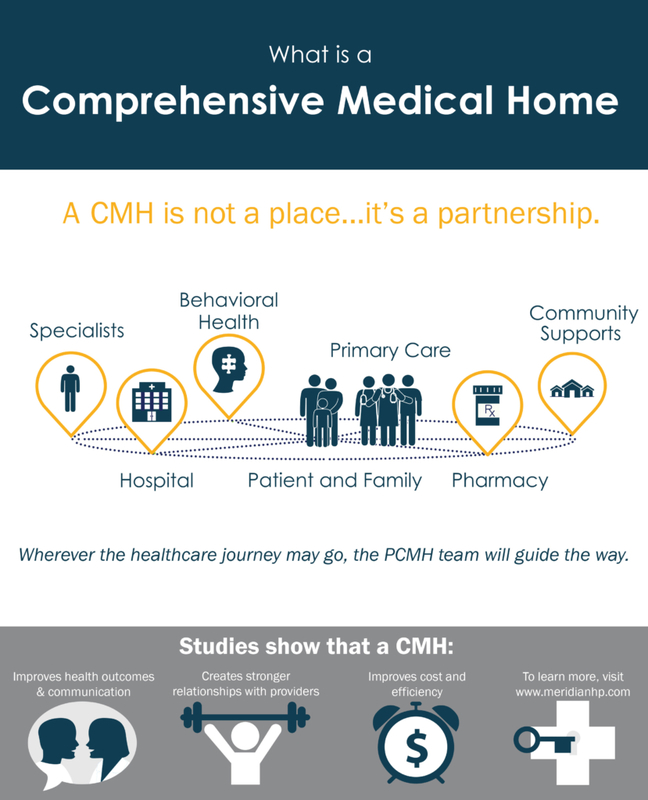 The objective of a Comprehensive Medical Home (CMH) is to centralize a patient’s care as close to their home (neighborhood) as possible. It is a care delivery model whereby all of the patient’s medical, behavioral health, and social needs are coordinated through their primary care physician to ensure they receive necessary care when and where they need it. Providing comprehensive care requires a team of providers. This team might include, physicians, mid-level practitioners, nurses, pharmacists, nutritionists, social workers, educators, and care coordinators. Meridian Healthcare Partners has experience CMHs that provide care for Chronic illness, Geriatric Care, Diabetes, Medically Fragile, Behavioral Medical Home, and Palliative Care & Hospice. The team coordinates care across all elements of the broader healthcare system, including specialty care, hospitals, home health, and community services and supports. Physician Practice Management (PPM) is critical to the success of implementing a CMH. Meridian Healthcare Partners brings considerable experience in operationalizing staffing, revenue cycle, quality data collection, population management, provider schedules, office work flows, and patient communications to facilitate a successful launch and ensure sustainability of your CMH. A Comprehensive Care Model: A large majority of patient needs are met in a CMH including prevention and wellness, acute, and chronic care. 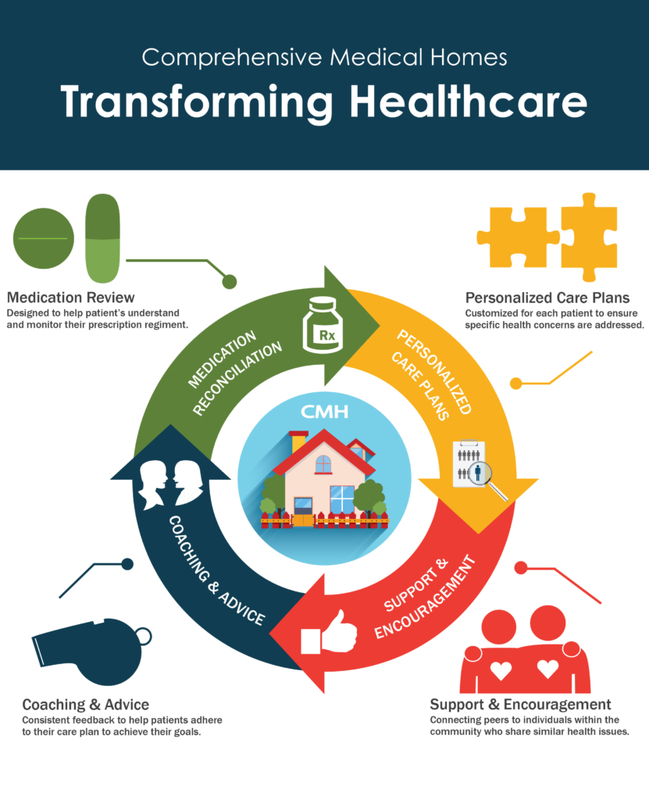 A Patient-Centered Approach: The CMH builds a relationship-based approach via practitioners who recognize patients and families as core members of the care team. 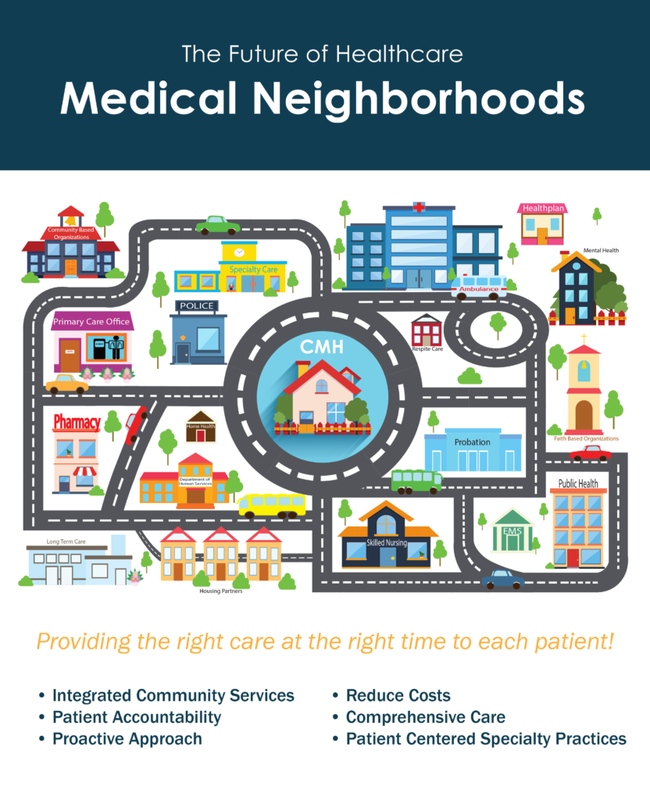 A Coordinated Care Model: The CMH coordinates care across the broader neighborhood of health care options available in a community including hospitals, specialists, and support services. Accessibility To Services: A CMH delivers services with shorter waiting times for urgent needs, around-the-clock telephone support, and alternative methods of communication including text and e-mail. Patients in-turn enjoy a single source of contact for their healthcare needs. Quality & Safety: The CMH team supports quality & safety by embracing an evidence-based approach to clinical care options, shared decision making with family, and transparency in reporting results.